Swarms of robots will revolutionize many applications, from targeted material delivery to farming. However, the characteristics that make them ideal for certain future applications, such as robot autonomy or decentralized control, can also be an obstacle when transferring this technology from academia to real-world problems. Blockchain, an emerging technology, demonstrates that by combining peer-to-peer networks with cryptographic algorithms, a group of agents can reach agreements without the need for a controlling authority. 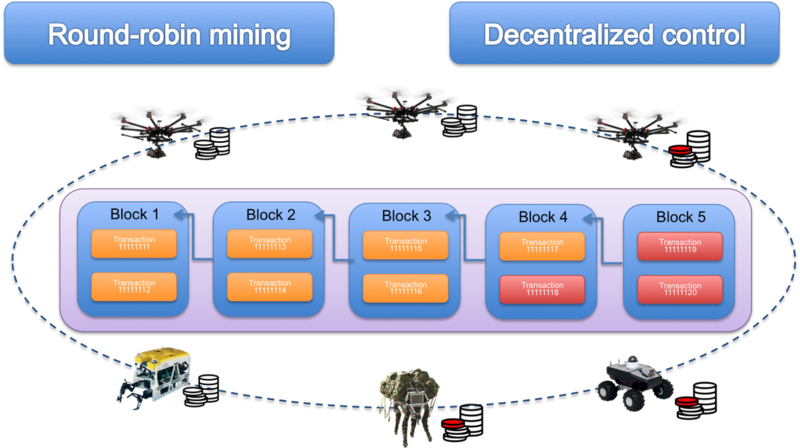 The combination of blockchain with other distributed systems, such as robotic swarm systems, can provide the necessary capabilities to make robotic swarm operations more secure, autonomous, flexible, and even profitable.